Stuhr Museum of the Prairie Pioneer : See and Do : What Can I See? Each visit to Stuhr Museum is a unique experience, not just because there are so many sites to visit, but the exhibits, activities and events change so frequently. Here are some highlights from our grounds. Designed by renowned architect Edward Durell Stone (who also designed the Kennedy Center for Performing Arts), the Stuhr Building is the heart of the museum. Here you will find helpful Visitors Services staff who will help you plan your time, exhibit space that features art and historical exhibits, a series of permanent exhibits on the second floor telling the story of the prairie pioneer, and our “Kid’s Corner,” space, with games, toys and great fun for younger visitors. The Gus Fonner Memorial Rotunda houses beautiful noted collections of Native American and Old West memorabilia formerly belonging to the late August L. “Gus” Fonner, Grand Island civic leader and horseman. These fascinating exhibits reflect the contrasting cultures of the Plains Indians and the early western settlers. The center of the Fonner Rotunda is reigned by this life-sized sculpture of a Sioux Indian family, titled “The Arrowmaker”. Done in plaster and bronze coated, an Indian boy watches intently as his father sights down an arrow to test its trueness. Behind them stands the mother, an interested observer. Ellis Burman was the sculptor of this piece. The Fonner Rotunda is open year round. Located on the east grounds, the 200-piece Antique Auto and Farm Machinery exhibit includes an 1880 threshing machine, early steam engines, tractors, and numerous examples of horse-drawn and tractor-drawn farm implements, hay rakes, cultivators, plows, potato planters, and more. The auto display includes 15 antique automobiles, including buggies, a 1909 Model T, a 1913 Overland and a 1903 American. This exhibit reflects the birth and evolution of the state’s agricultural heritage. This exhibit is open May 1 through Labor Day, from 10 to 11 am and from 2 to 3 pm. One of the first exhibits visitors see upon entering the museum is also one of the most striking exhibits in the area. 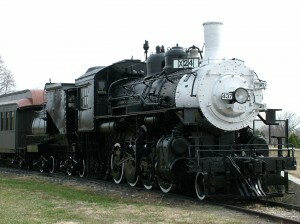 Led by the Augustine Family, Union Pacific Engine 437, the Railroad Display also includes the Bosselman Family, Hoch Family Union Pacific Boarding Car and the Ann and Dennis Vanosdall, Union Pacific Caboose. Visitors get a real, up close sense of the pieces by ascending the incline and viewing the pieces as if they were about to board. This exhibit is open all year. Ten-foot wide paths wind through the picturesque environment you’ll find in the Hornady Family Arbor, Stuhr Museum’s own Park located just east of the Fonner Rotunda. 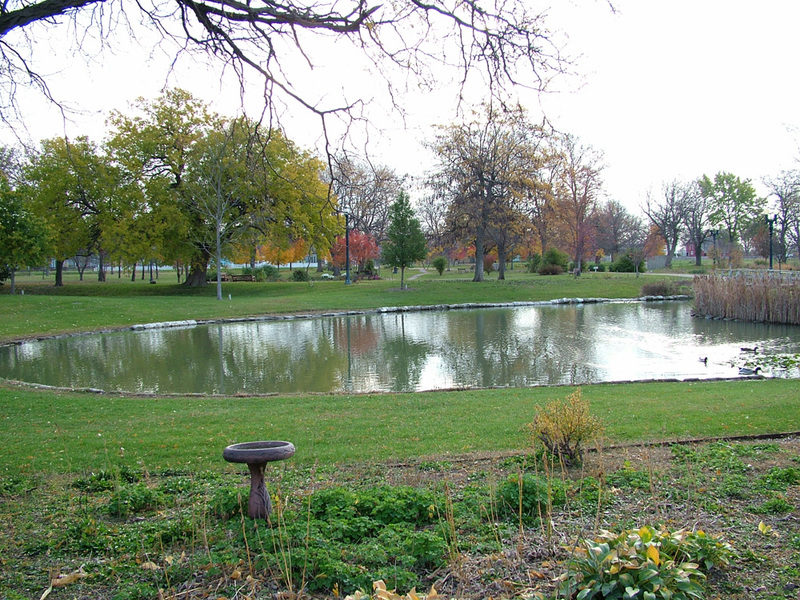 Complemented by a pond, windmill, wooden bridges, flower gardens, shrubs, picnic tables, and open, grassy spaces, this tree-filled haven is a peaceful, relaxing sanctuary. Sit for a spell on a shady bench in the Henry Fonda Memorial Rose Garden, or stand on the wooden bridge and feed the many ducks residing in the Arboretum. Admirers of flora and fauna alike will enjoy the varieties of flowers growing here in the arbor, from lilacs to irises and daisies to lilies. 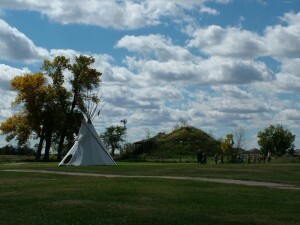 Until 1876 the Pawnee were the most influential and populous of the native peoples of Nebraska. At the time of Lewis & Clark (1804-1806) and of Zebulon Pike (1806), the Pawnee were living in two to six principal towns. The towns ranged in size from 40 to 200 earth lodges. This 38-ft. in diameter replica of an 1830s lodge would have been home to 30 to 50 people. Visit the Pawnee Earth Lodge, teepees, and watch the buffalo grazing on the prairie for an experience in Indian life at Stuhr Museum. The earth lodge, designed in the style of the Pawnee Indian, is filled with authentic items for visitors to experience how life in the lodge existed. See how its inhabitants used the space inside the lodge to live, survive, worship, and celebrate family. Walk along the original pioneer trail used by mountain men William Ashley and Jim Beckwourth, by military men such as Stephen H. Long and soldiers of Fort Kearny, and by missionaries Dr. Marcus Whitman and wife Narcissa. Pioneers bound for Oregon and California also traveled these trails. Wagon swales are still visible here after 175 years. See Sampson the buffalo who lives near the earth lodge. The Pawnee Earth Lodge interior is open to visitors on weekends May 1-Labor Day. During other times, exterior viewing is welcome. A complex of eight structures, the Pioneer Settlement interprets the 1850s-60s “road ranches” that were built along the pioneer trails and served travelers heading west. There were once eleven road ranches in Hall County. They were located along the Platte Valley’s emigrant roads and were places where travelers could pause to buy provisions and make repairs on equipment. The Menck and Vieregg Cabins are the main structures of the ranche. 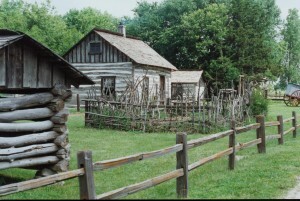 The Menck Cabin was constructed of Cottonwood logs, and measures 17 by 21 feet. Built in 1859 by Christian H. Menck, a native of Holstein, Germany, the homestead was located just east of Grand Island City. The Vieregg Cabin, a 20 by 40 structure, once sat two miles east off Gunbarrel Road in neighboring Merrick County. It was constructed by at least two of the three Vieregg brothers, John, Henry, and James, who were part of the 1857 group of immigrants from Holstein, Germany. The 1860s Road Ranche Cabin Settlement is open May 1 through Labor Day. During other times, exterior viewing is welcome. Taylor Ranch: The original store from the historic 10,000-acre ranch in Hall County that became one of the nation’s most important sheep feeding operations, belonging originally to Robert Taylor. 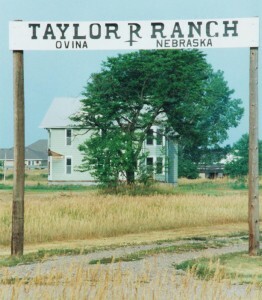 Taylor, considered the ‘Sheep King’, owned thousands of acres across Nebraska, including land in Hall County. Pick up a copy of “Sheep King” from Stuhr’s gift shop, Prairie Treasures, to learn more about this fascinating Nebraska rancher. In its day the Taylor House was one of the showplaces of Hall County, with nine bedrooms, three sitting rooms, a nursery, play room, large dining room, office, large kitchen and pantry, and three baths, it was considered a mansion. Among guests entertained at the ranch were President Theodore Roosevelt, during his visit to Grand Island in 1903. 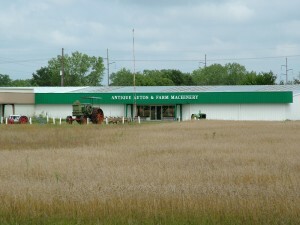 A 100-year celebration of this visit took place May 3, 2003 at Stuhr Museum. The Taylor Ranch is currently open for exterior viewing only.